When you encounter a garage door emergency, same-day repair may be an immediate need. 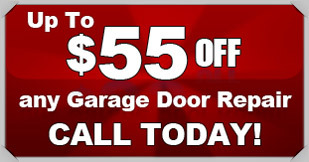 At Action Garage Door of Lucas, TX we offer many different options for same-day and 24-hour emergency repair services. After one simple phone call, our background-checked and certified technicians can be at your commercial or residential door within hours or by the end of the day. See how we have come to offer some of the fastest services for quality garage door repair. In a typical repair emergency, timing is not convenient. Whether your needs fall after business hours or in the middle of the work week, we will respond to your emergency call within the hour to help you get your repair addressed in a timely manner. When the immediate need arises for garage door repair, turn to your local team of professionals at Action Garage Door for fast local repair in Lucas, TX. From garage door weather damage, to snapped cables and bent tracks, we are prepared to address your emergency repair needs as soon as possible. To schedule services with a technician who is familiar with Lucas, TX city codes, please contact us, so we can help you as soon as possible. Came out fast, made sensible recommendations, fixed problem quickly and was very friendly. Very reasonably priced too. Prompt, friendly service rep, efficient and complete repair.